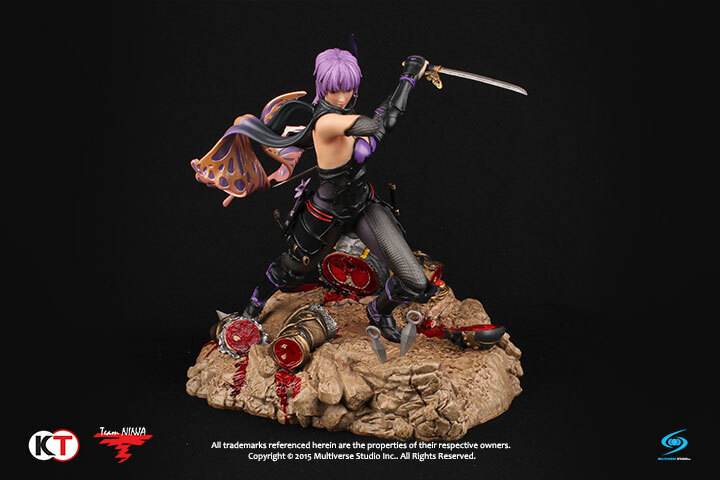 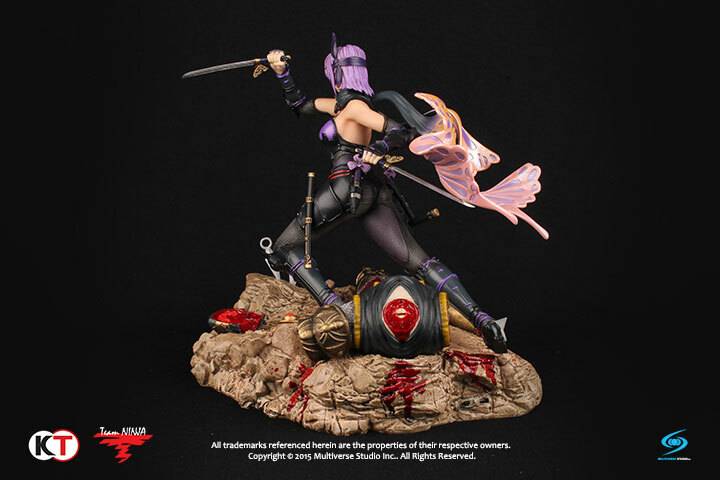 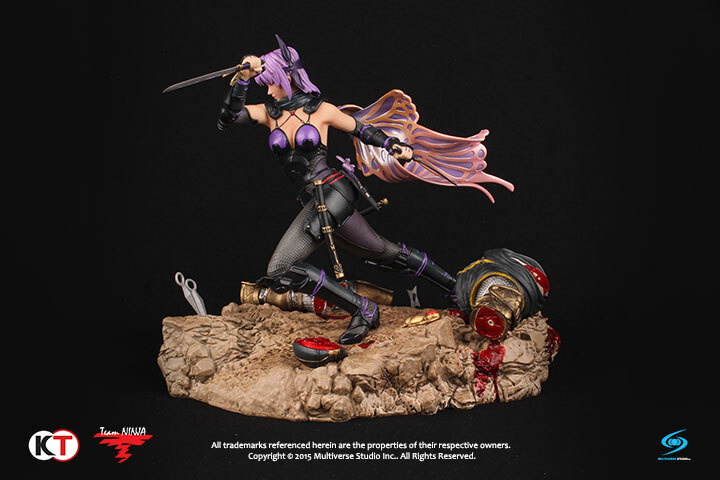 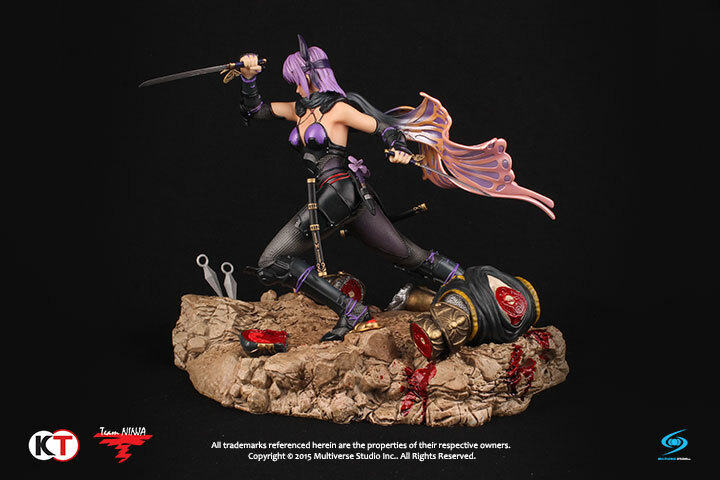 Ninja Gaiden 3: Ayane - Multiverse Studio Inc.
Multiverse Studio is extremely excited to announce our partnership with Koei Tecmo America Corp. to release high quality collectibles based on the iconic Ninja Gaiden® videogame series! 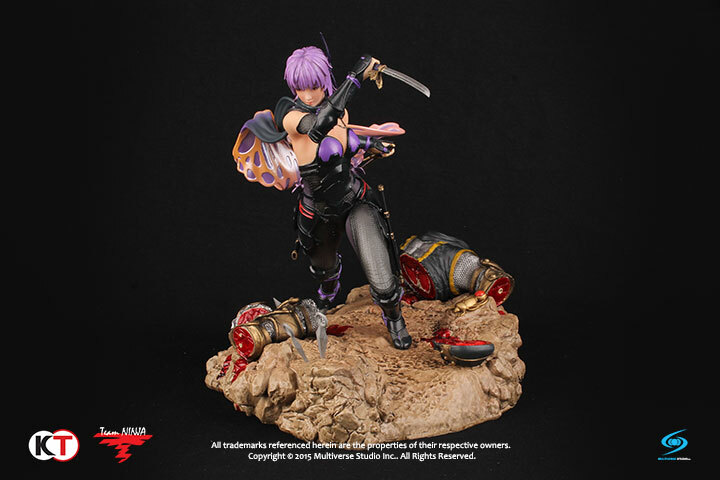 Ayane is the next figure in the Ninja Gaiden® collectible lineup! 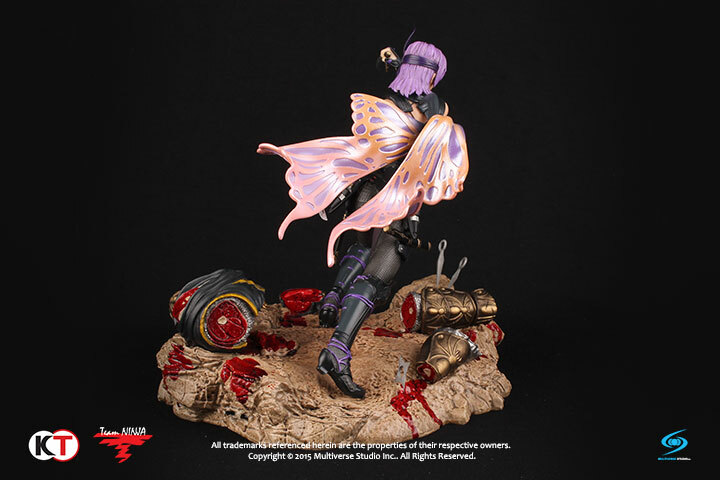 Measuring approximately 13 inches tall from top to base, the statue features Ayane in her Nocturnal Butterfly combat suit from Ninja Gaiden 3: Razor’s Edge®, complete with flowing scarves and iridescent purple highlights. 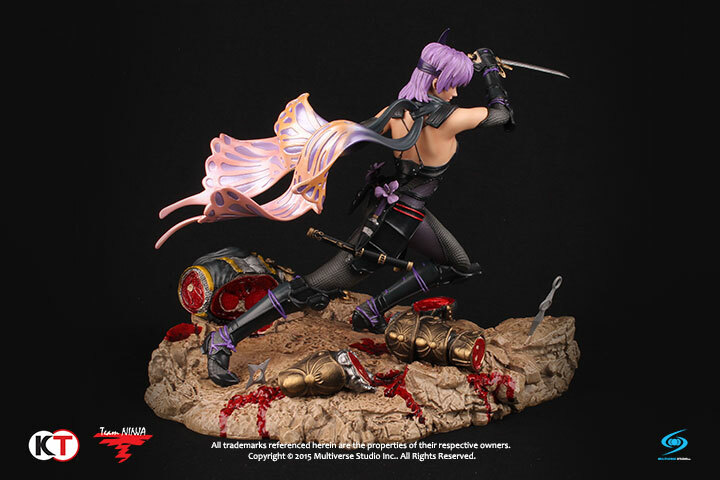 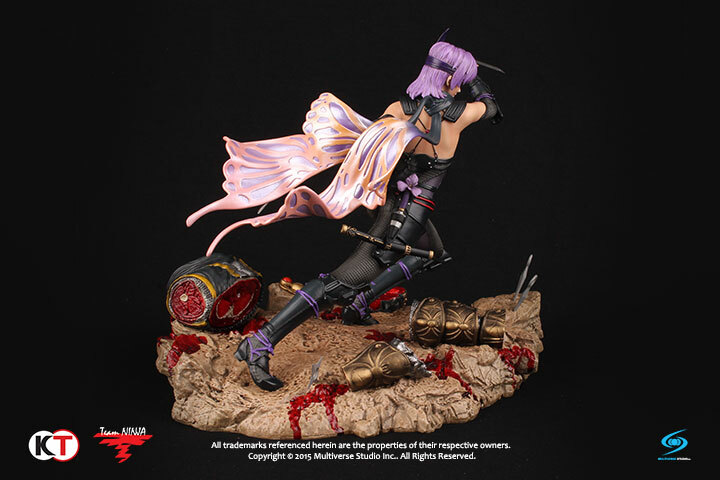 This statue captures the fluidity and dynamism of Ayane’s lightning fast and graceful fighting style. 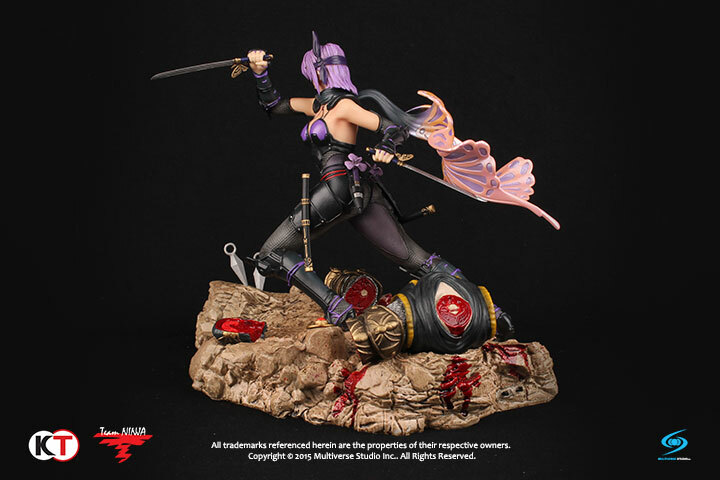 She wields a pair of Fuma Kodachi, and on each side of her waist are a set of Kunai, ready to engage in a campaign against the Black Spider Clan. 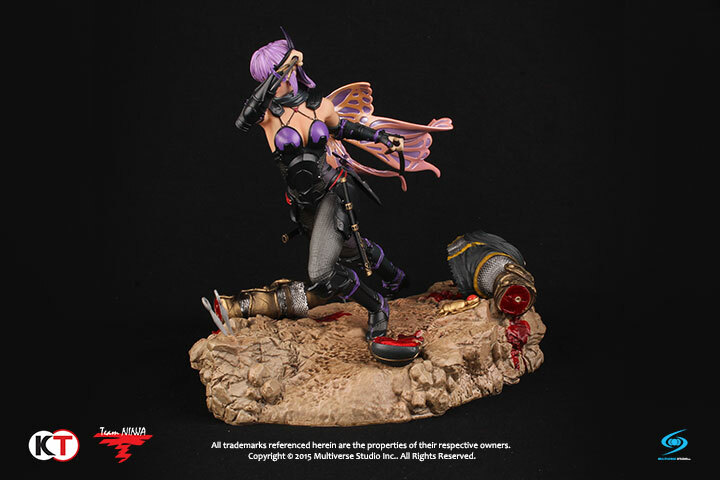 Check back often for more features and updates!